Since 2015, Tolar Manufacturing Company has been working with the County of Kauai designers and installation contractors to provide themed shelters throughout the island. Recently, a blessing was held at the Kapaa bus stop near the Bryan J. Baptiste Sports Complex to begin the fourth phase of the bus stop passenger shelter project. Upon completion of phase four there will be a total of 62 Tolar-built sheltered stops on the island. 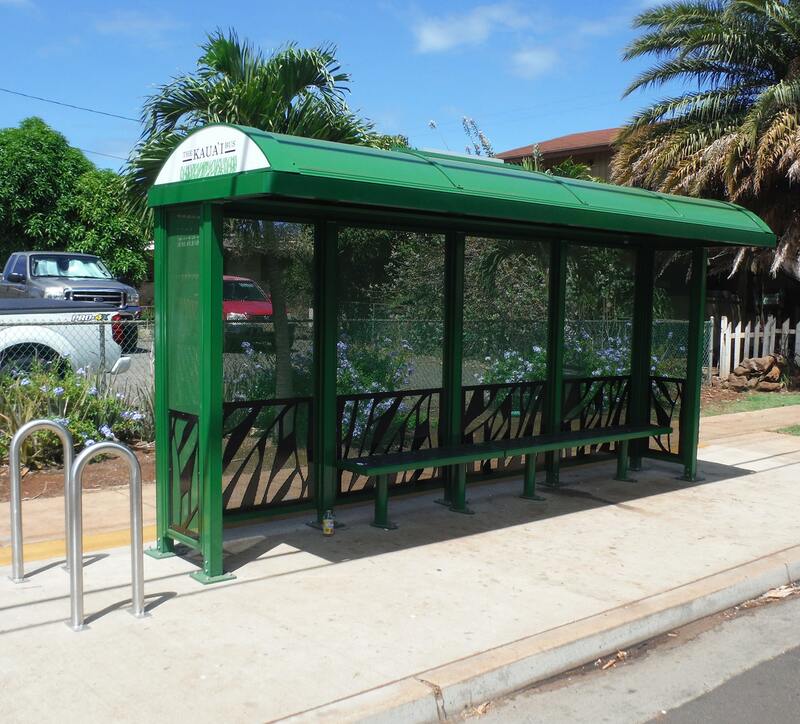 “The bus shelters on Kaua‘i would not be possible without the partnership of Tolar Manufacturing and the Transportation Agency,” said Kaua‘i Mayor Bernard Carvalho Jr. “From the photo-sensor-activated lighting, seating, design, and photovoltaic battery storage feature, the benefits from Tolar Manufacturing create a positive experience for all users of the bus,” Mayor Carvalho continued. A new administration under Mayor Kawakami has now taken leadership and it is envisioned this bus shelter project will continue well into the future. 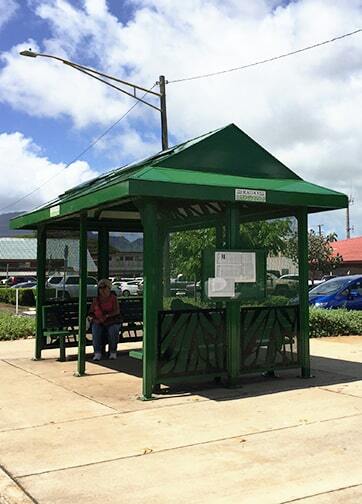 Tolar Manufacturing has been working with the County of Kauai and their project consultants throughout each phase of the bus stop passenger shelter project to design and fabricate four unique shelter designs that accommodate the unique characteristics of each neighborhood. Based on the company’s Niagara series, the designs embrace the aloha island spirit with sugar cane patterns integrated into the shelter walls and a tropical forest green paint scheme. Other bus shelter amenities include a wall-mounted map case, recycled-slat benches, and dusk-to-dawn solar illumination provided by valued Tolar Manufacturing partner, Urban Solar.